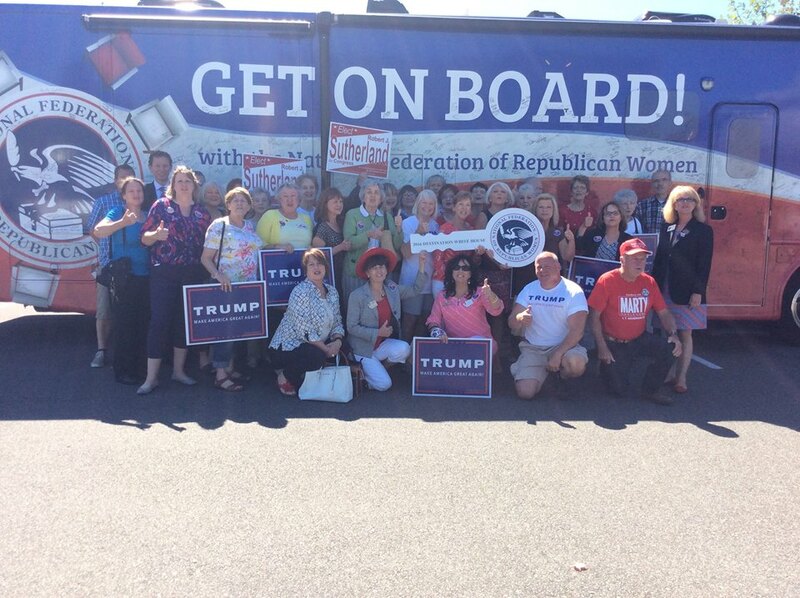 ROSIE THE BUS COMES TO WASHINGTON STATE! ALEXANDRIA, Va. – National Federation of Republican Women (NFRW) leaders and their red, white and blue bus “Rosie” stops in Spokane, Wenatchee, North Bend, Everett, Lakewood, Chehalis and Vancouver as part of a nationwide tour. 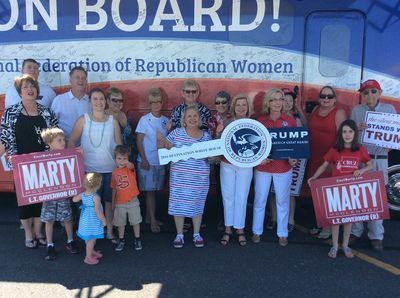 The mission of ‘NFRW Destination: White House’ tour is to elect Republicans by registering voters, especially Republican-leaning women, and rallying Republican Women across the country. Each stop is open to the public. WHEN: Tuesday, August 23, 2016, 10 a.m.- 11 a.m. WHEN: Tuesday, August 23, 2016, 3 p.m.- 4 p.m. WHEN: Wednesday, August 24, 2016, 9 a.m.- 10 a.m. WHEN: Wednesday, August 24, 2016, 12 p.m.- 1 p.m. WHEN: Wednesday, August 24, 2016 4 p.m. - 5 p.m. WHEN: Thursday, August 25, 2016 11:30 a.m.-12 p.m. WHEN: Thursday, August 25, 2016 1:30 p.m. -2 p.m.
For more information on ‘NFRW Destination: White House’ tour, go to www.nfrw.org or www.Rosie16.com. Founded in 1938, NFRW is the largest and most influential Republican women’s group in the nation and proudly represents the party that made it possible for women to vote. 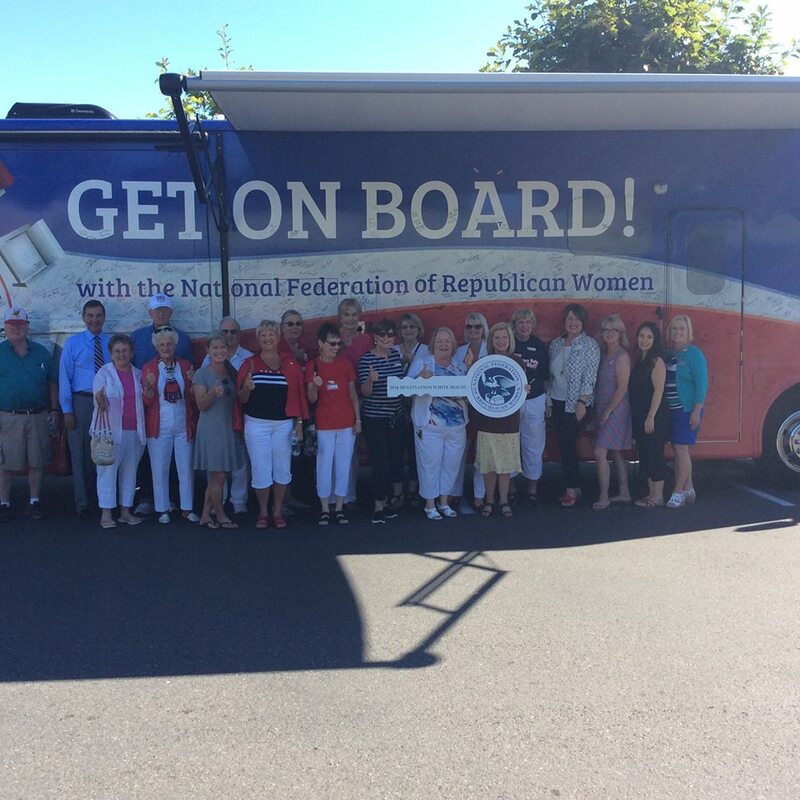 NFRW works to increase the effectiveness and relevance of women in the cause of good government, recruit and elect Republican candidates and promote the principles of the Republican Party.